Welcome to KTC Wellness Coaching. I am Karen Cianciolo, Certified Integrative Health Coach. I help busy women and men make better food and lifestyle choices for healthier, more fulfilling lives. My interest in health and wellness began early. I was a chubby kid, teased about my roundness and influenced by "Barbie doll syndrome." I put myself on my first diet at age nine - Crazy! Many years that followed were filled with emotional eating, and every diet imaginable, as I tried to match some warped image of how I should look. Well into adulthood, I began to discover what worked for me. 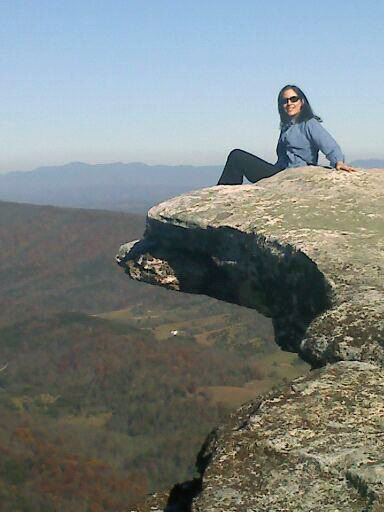 I found activities that I enjoyed and looked forward to - I love hiking and ballroom dancing! I always loved to cook, and especially to bake (sugar was my false best friend) and I began experimenting with new foods, finding wonderful surprises that I thoroughly love and that love me back. Over the years I found a gradual acceptance of ME and a connection to my unique self, and I am now thrilled to have a career helping others do the same! Throughout a long business career, health and wellness was my hobby. I found myself continually drawn to exploring and researching topics around food, fitness and stress management. I was fascinated by the positive impact I noticed in myself and others with small lifestyle changes, mostly through gradual shifts in food choices and by adding movement to the day. I also saw the tremendous effect of stress-management activities such as yoga, meditation and even the seemingly ordinary task of taking a few deep breaths. It was time for a change.... My journey led me to enroll at the Institute for Integrative Nutrition, a leader in holistic education, with a focus not just on the foods we eat, but also the other influences of life that play an integral role in our wellness. My training has included more than one hundred dietary theories, and the study of a variety of practical lifestyle coaching methods. With this knowledge, I help my clients with a personalized approach that suits each person's unique body, lifestyle, preferences, and goals. I am thrilled to be on this path to help people make lifestyle choices toward happier, healthier and more fulfilled lives! I received my training as a Health Coach from the Institute for Integrative Nutrition's cutting-edge Health Coach Training Program. In addition to the study of over 100 dietary theories, my coursework included practical lifestyle management techniques and innovative coaching methods with some of the world’s top health and wellness experts. My teachers included Dr. Andrew Weil, Director of the Arizona Center for Integrative Medicine; Dr. Deepak Chopra, leader in the field of mind-body medicine; Dr. David Katz, Director of Yale University’s Prevention Research Center; Dr. Walter Willett, Chair of Nutrition at Harvard University; Geneen Roth, bestselling author and expert on emotional eating; and many other leading researchers and nutrition authorities. My education has equipped me with extensive knowledge in holistic nutrition, health coaching, and preventive health, which I implement with my clients to help them make lifestyle changes that produce real and lasting results.